Support Safety Analysis of Hydrogen and Fuel Cell Technologies - jedolas Webseite! SUSANA was built on the complementarities of expertise of leading European experts in the field of Computational Fluid Dynamics (CFD) use for provision of hydrogen safety to achieve the synergy and consolidate the CFD excellence in application to safety design of FCH systems and infrastructure. The project critically reviewed the state-of-the-art in physical and mathematical modeling of phenomena and scenarios relevant to hydrogen safety, i.e. releases and dispersion, ignitions and fires, deflagrations and detonations, etc. ; It compiled a guide to best practices in use of CFD for safety analysis of FCH systems and infrastructure, updated verification and validation procedures, generated a database of verification problems, developed a model validation database, performed benchmarking and finally created the CFD model Evaluation Protocol built on these documents and project activities. 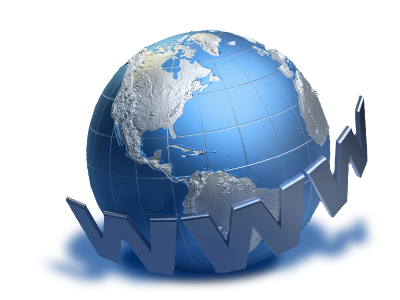 This webpage provids public access to the project outcomes. The protocol facilitates use of CFD as a cost-effective contemporary tool for inherently safer design of FCH systems and facilities in Europe. It is developed for all stakeholders directly involved in use of CFD and those who perform the evaluation of CFD safety analysis done by others, including but not limited to safety engineers and technology developers, regulators and public safety officials involved in permitting process, etc. The consortium was composed of key players in the field of modeling and numerical simulations relevant to hydrogen safety science and engineering from research institutions, academia and industry. The expert group acted as a powerful project instrument with open membership to maximize the outreach of the project outcomes and involved stakeholders in the protocol use at as early stages as possible. Experts became invited to participate in online forum, benchmarking, attended events organized by the project consortium. Dissemination activities such as workshops and seminars with invitation of CFD users and representatives of permitting authorities through different channels, including IA HySafe, IEA HIATask 31, EHA, national and international projects, etc. Karlsruhe Institute of Technology (KIT) is a higher education and research organisation with about 8000 employees, 18,500 students and a total annual budget of about 700 million Euros. KIT was established on 01/10/2009 as merger of Universität Karlsruhe (founded in 1825), one of Germany’s leading research universities, and Forschungszentrum Karlsruhe GmbH (founded in 1956), one of the largest national research centres in the Helmholtz Association. Higher education, research, and innovation are the three pillars of KIT’s activities. In establishing innovative research structures, KIT is pursuing joint strategies and visions. KIT’s research profile is characterised by a strong focus on energy technology, nanotechnology and materials research, elementary particle and astro-particle physics as well as climate and environmental research. It has significant competencies in the fields of information and communication technologies, mobility systems, optics and photonics, and the inter-relations of humans and technology. KIT builds on the extensive experience its predecessors have gained in EC-funded research from more than 1000 projects up to now. KIT-IKET is coordinator of the network of excellence HySafe and is coordinator of H2FC European Infrastructure. Also initiator the international association HySafe II and included in different national and European research projects concerning safety technology in using hydrogen as an energy carrier. Also the institute is included in very different internal activities to promote and install technical hydrogen test and demonstration facilities. KIT-IAI Institute for Applied Informatics is participating as a KIT institute will do the programming and maintenance of the project website of SUSANA. The University of Ulster will be presented by the Hydrogen Safety Engineering and Research (HySAFER) Centre, which is a provider of research and education in hydrogen safety. HySAFER staff: 7 academics, 3 researchers, 4 PhD students. External funding of hydrogen safety activities from 2004 is totalling above €3.5M. 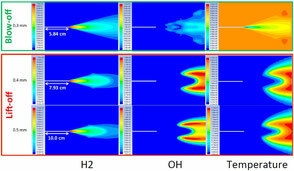 The thrust in research at is on CFD, including large eddy simulation (LES). 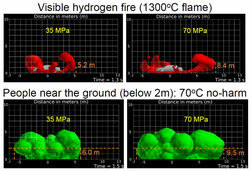 The modelling and numerical simulations are aimed in closing knowledge gaps in main phenomena relevant to hydrogen safety: under-expanded jets, dispersion, spontaneous ignition, hydrogen jet fires, including under-ventilated fires, deflagrations and detonations, etc. The developed and validated models are used to perform hydrogen safety engineering for industry and for teaching the World’s first postgraduate course in hydrogen safety, i.e. MSc in Hydrogen Safety Engineering (since 2007). In 2008 HySAFER established the International Short Course and Advanced Research Workshop (ISCARW) Series “Progress in Hydrogen Safety”. HySAFER is one of founders of International Association for Hydrogen Safety (IA HySafe). The Environmental Research Laboratory (EREL) of the National Centre for Scientific Research “Demokritos” possesses broad expertise on hydrogen technology issues with emphasis on safety analysis related to hazards and risks from hydrogen use and on hydrogen storage in solid media. On hydrogen safety, EREL has been actively involved in the EC shared cost projects: EIHP (1998-2000), EIHP2 (2001-2004), HySafe (2004-2009), HyApproval (2005-2007) and HYPER (2006-2009), by performing safety analysis of various hydrogen applications (vehicles in garages, street canyons, tunnels, refuelling stations and fuel cells in confined spaces) using the CFD methodology. Within the Network of Excellence HySafe, EREL participated as coordinator of the internal project “InsHyde” and leader of the work package “Release, Mixing and Distribution”. As a centre of expertise on hydrogen safety, EREL has also been funded by the private sector (ERM-Hong Kong) for CFD based consequence assessment on the use of hydrogen buses in Hong Kong. Currently EREL is actively involved in the EC projects HyIndoor (2012-2015) and H2FC (2012-2016). Specific to CFD Model Evaluation and Modelling Uncertainties EREL has previously taken part in the EC co-funded projects SMEDIS (1996-1999) and EMU (1994-1996). Finally EREL possesses significant project management experience through participation and coordination of several multinational collaborative projects. The Institute for Energy and Transport (IET) is part of the Directorate General Joint Research Centre (JRC) of the European Commission. Its mission is to provide scientific and technical support for the conception, development, implementation and monitoring of community policies related to energy and transport. The JRC/IET supports the EU drive towards clean and efficient transport technologies and endorses research for assuring performance, end-use efficiency and safety before mass public use of alternative fuels, and in particular hydrogen. The institute activities focus on pre-normative and underpinning research and target the development and improvement of performance characterisation methodologies for hydrogen storage, detection and safety. JRC/IET also provides scientific and technical support to Community standardisation and regulatory bodies in this field and aspires to act as a reference on hydrogen storage, detection and safety. In addition, it fosters training and transfer of knowledge to future energy technologists by running scientific/technical workshops in this field and by hosting and training research fellows. JRC main role in the project is the leadership of WP6 where JRC will coordinate the activities that will generate the Model Evaluation Protocol. The United Kingdom’s Health and Safety Laboratory (HSL), United Kingdom, provides the Health and Safety Executive (HSE) with risk assessment methodologies, basic and applied research, standards and guidelines development, legislation and forensic support services. HSE is Great Britain’s Health and Safety regulator and its primary function is securing the health, safety and welfare of people at work and the public. It has specific statutory responsibilities for the enforcement of health and safety law. HSL have extensive experimental and modelling facilities. Since its formation in 2003, Element Energy has established itself as one of the UK’s leading low carbon energy consultancies. We have a reputation for insightful and robust engineering and policy advice, underpinned by an in-depth technical knowledge of the sector developed through our engineering analyses. We operate in three low carbon sectors (power generation, built environment, and low carbon transport) and provide three main services (technical due diligence, strategy and policy, and engineering solutions). Our CFD and safety analysis work is part of our Engineering Solutions service. Element Energy has many years of experience employing CFD simulation tools and practices to problems of industrial significance. We provide CFD simulation services to many industries, including the building sector, energy, aerospace and product design. Our CFD advice is supported by engineers with specialist postgraduate degrees in the subject. Our CFD services have been quality controlled by a major aerospace company, for use in safety critical applications. Element Energy brings to the consortium experience in the practical application of CFD in the analysis of safety cases for the deployment of hydrogen energy systems, primarily in transport, but also in small-portable power hydrogen fuel cell systems. Created in 2001 and located in Aix en Provence (France), HELION belongs since 2007 to the AREVA group Renewable Energy Business Unit. Within this organization, HELION is in charge of the development, manufacture and commercialization of PEM fuel cells and electrolysers systems. Its development work also uses AREVA group competences focusing on energy systems key technologies improvement and technological breakthroughs (such as performance, power, durability and costs). HELION develops and commercialises water electrolysis solutions for hydrogen production, electrical and heat energy production systems based on PEM fuel cells, and hydrogen-based energy storage solution. HELION has recently launched its new hydrogen-based energy storage solution, the GreenergyBoxTM.